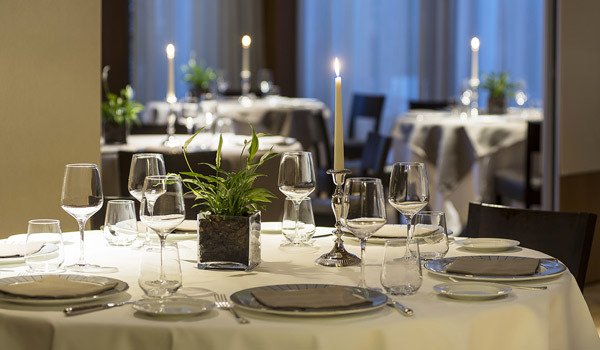 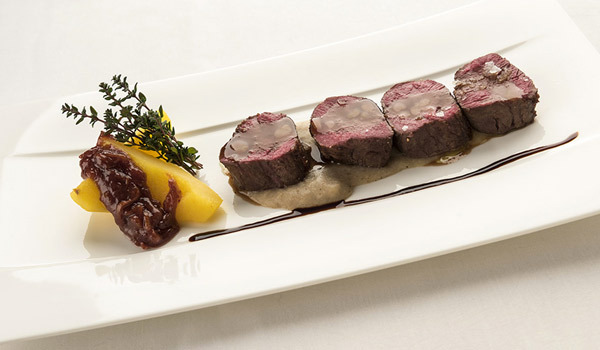 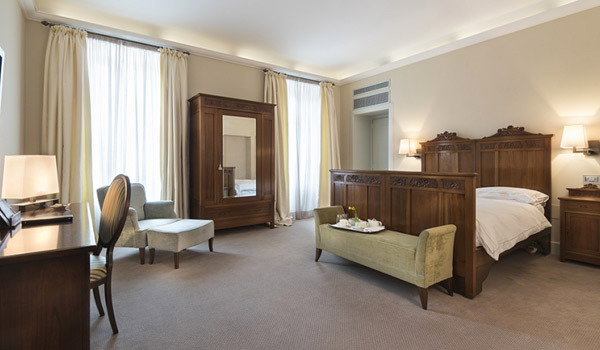 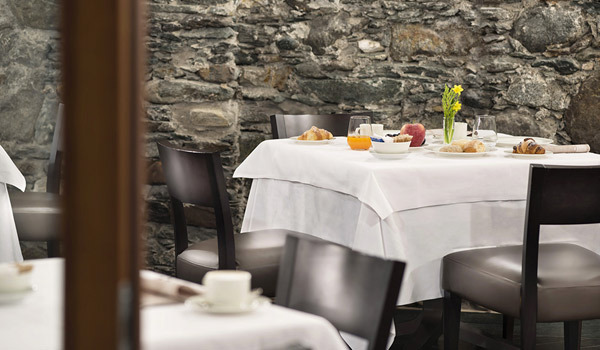 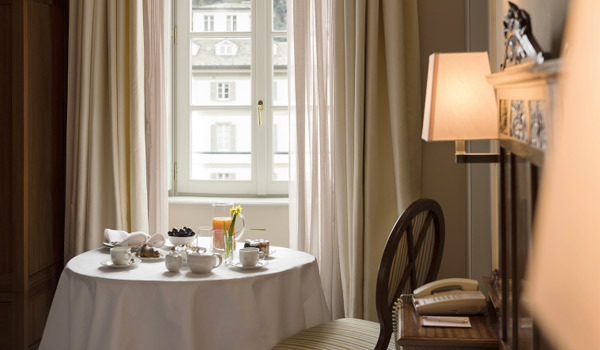 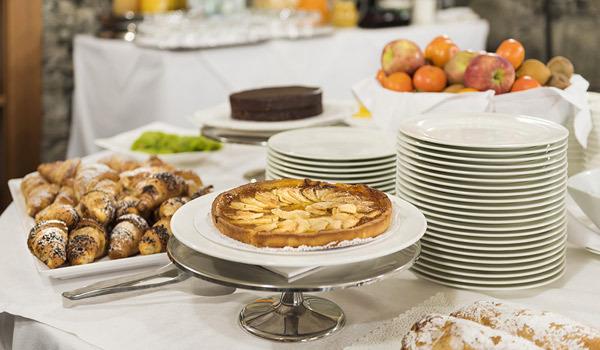 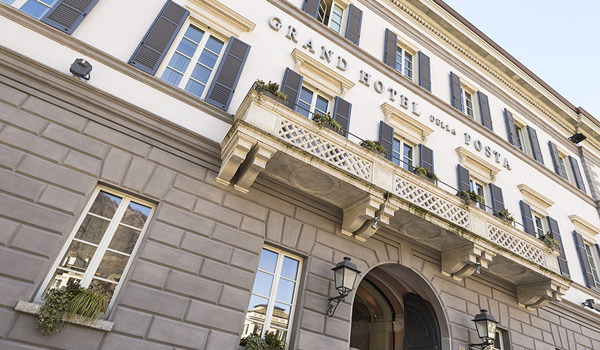 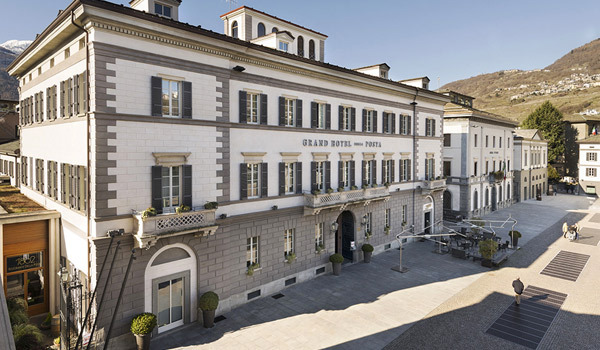 In the centre of Sondrio, between the Alps and Valtellina, the Grand Hotel della Posta is an institution of the city. 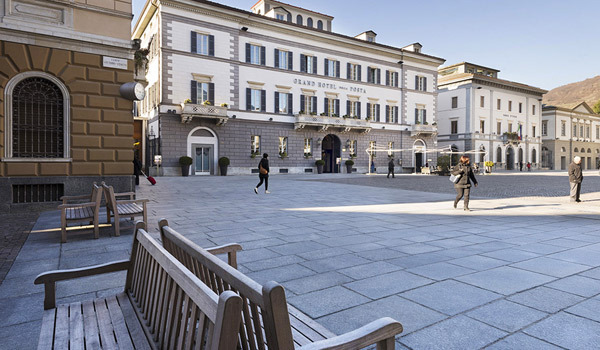 Opened in 1862 it was, for a long time, a stop on the road for carriages and stage coaches travelling along the Strada Regina (linking lake Como and Milan to the Transalpine regions). 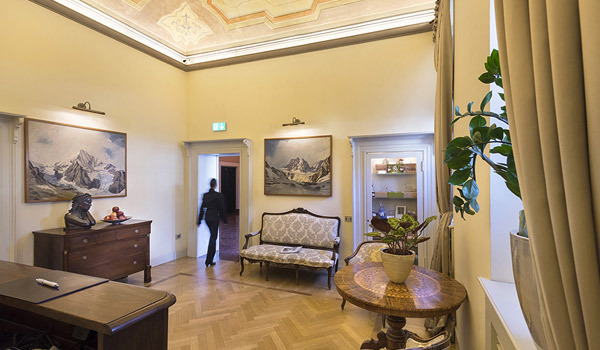 The hotel has become known as a place of refined elegance, and outstanding hospitality with the all the charm of a historic dwelling. 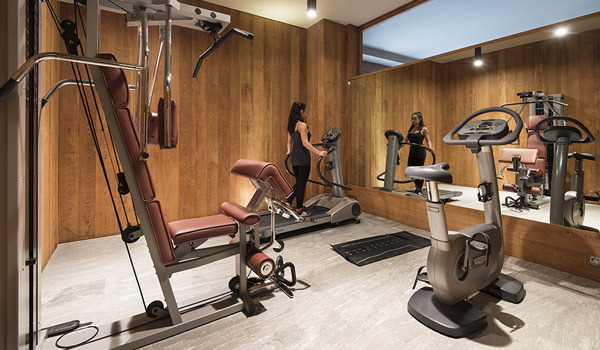 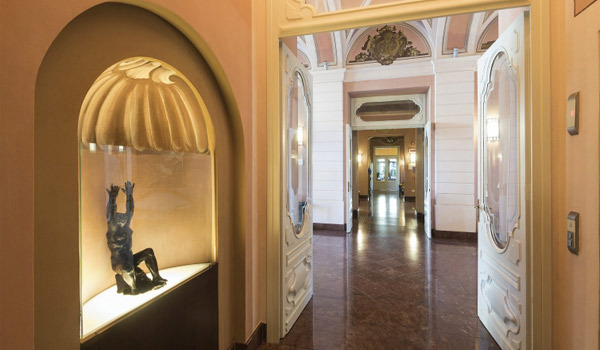 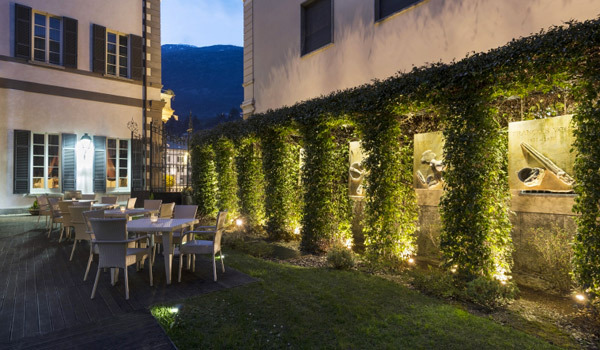 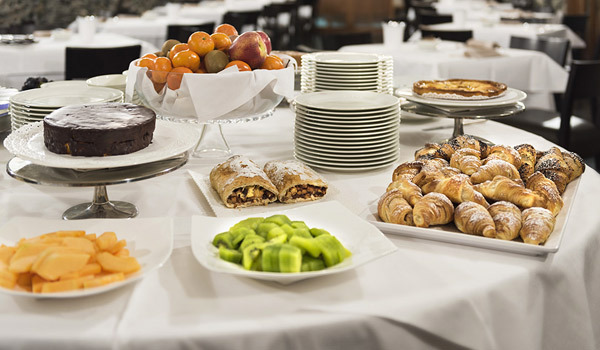 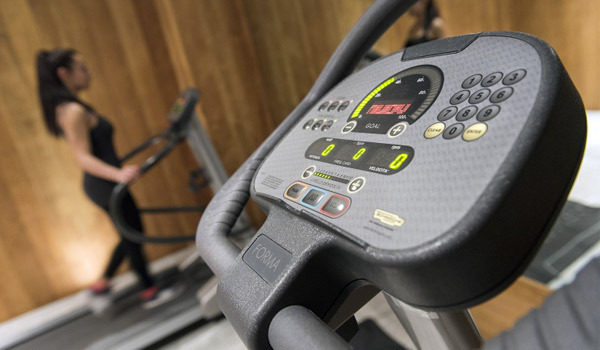 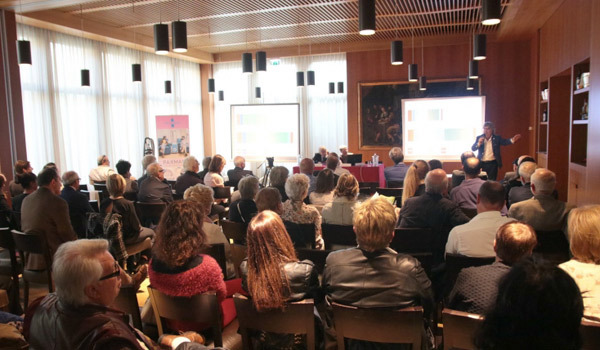 The hotel now also offers all the services expected from luxury hotel: wide common spaces enriched by works of art and fine furniture, a Restaurant that offers the best of Valtellina local and Mediterranean cuisine, A Spa where you can relax and regenerate. 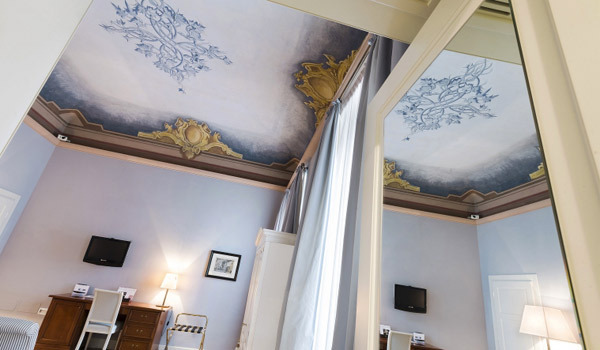 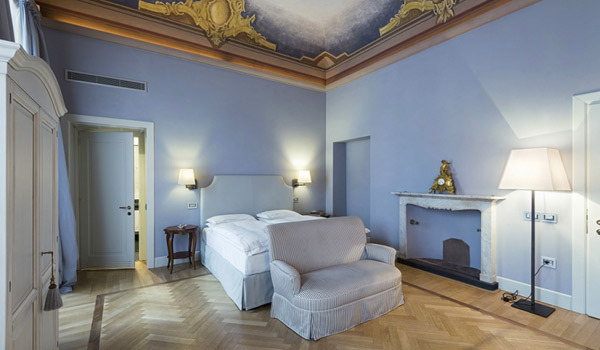 The ceilings are filled with frescoes and vintage details, which have been carefully restored and can be admired in the halls as well as the rooms and suites. 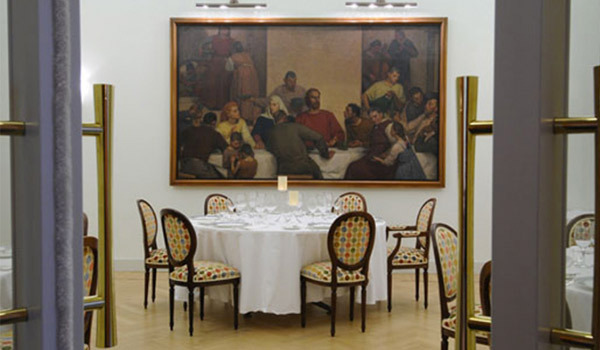 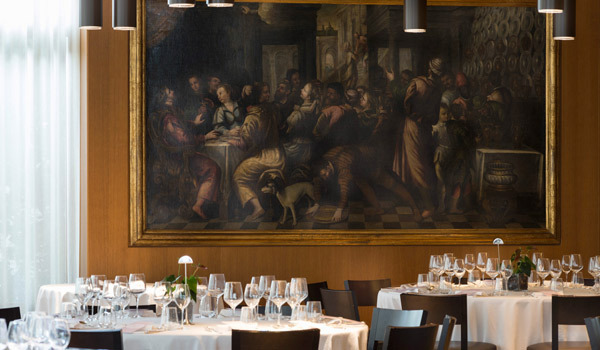 Frescoes can also be seen on the walls of the congress rooms, the biggest of which can host 200 people. 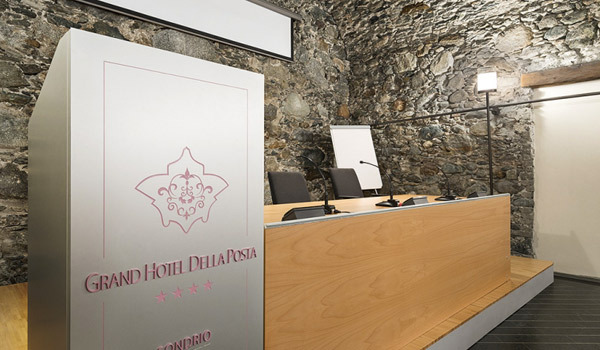 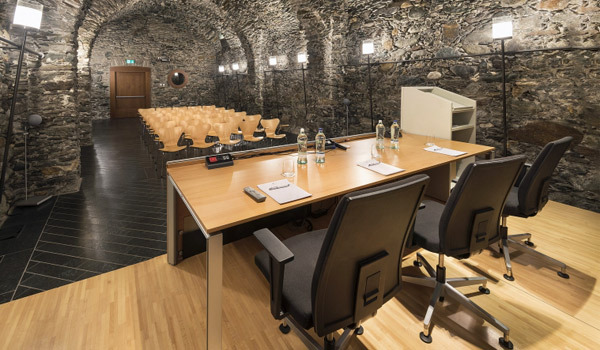 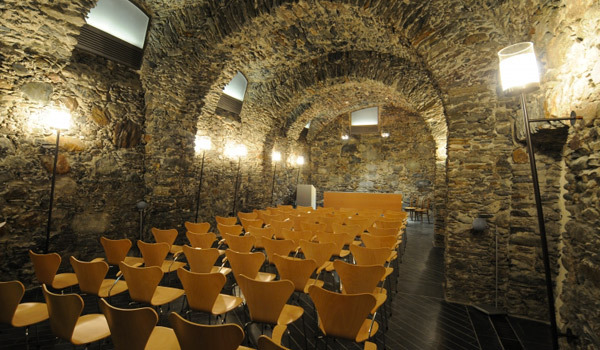 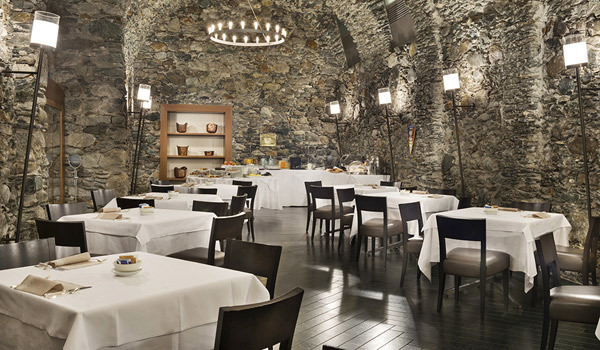 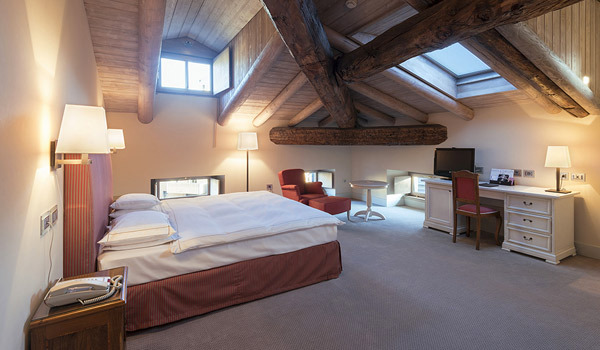 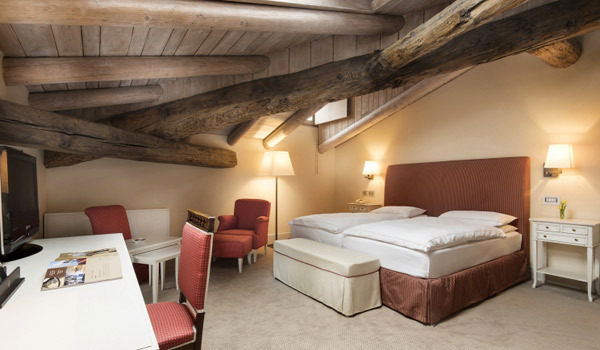 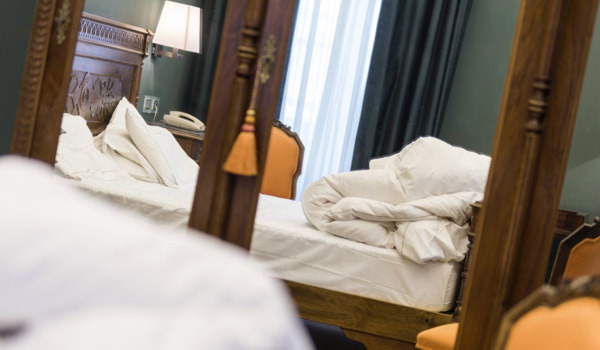 A stay at the Grand Hotel della Poste allows you to lose yourself in one of the most important centres of Valtellina experiencing all that it has to offer, an area rich in: castles, palaces, churches noble residences and a beautiful 11th century village. 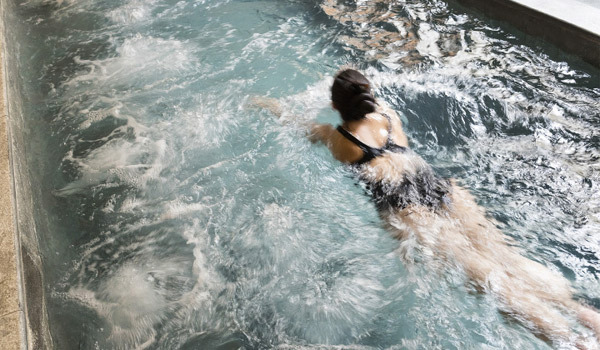 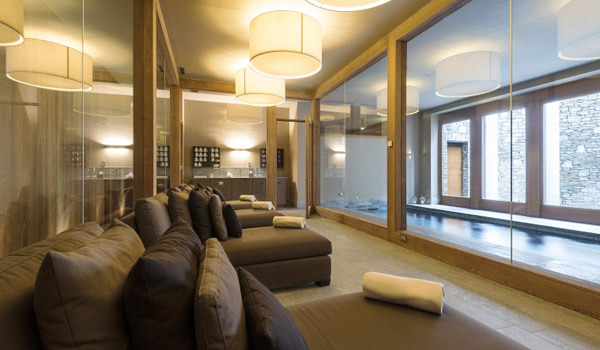 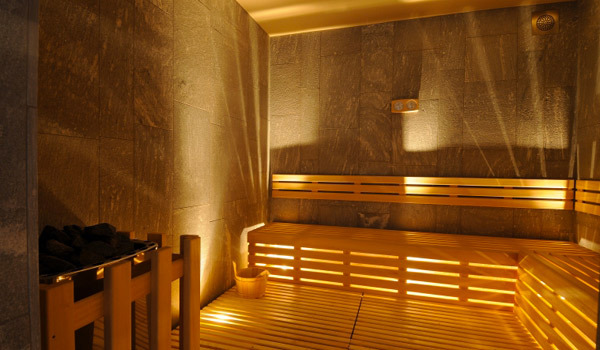 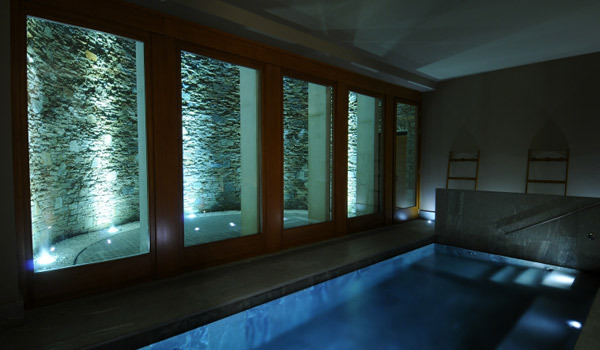 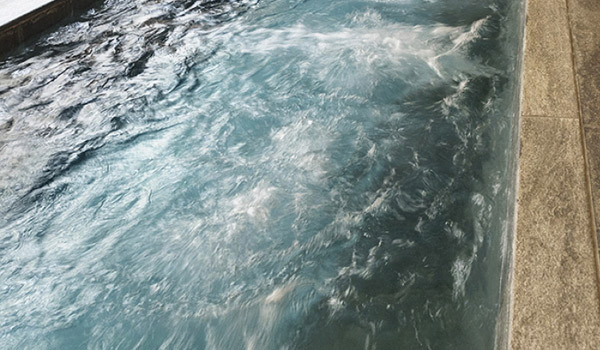 Situated in the underground of the hotel, built form an old cellar, the SPA Fonte della Posta boasts a large Jacuzzi pool, steam rooms, a multi-sensory shower and a sauna. 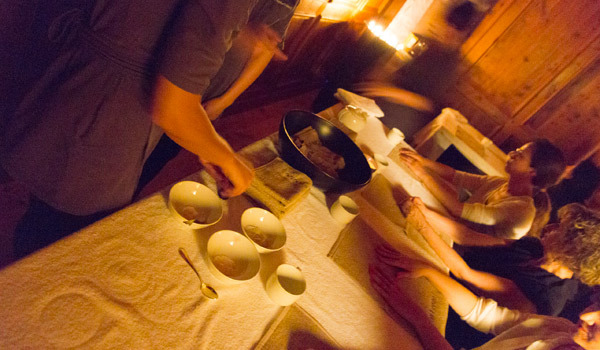 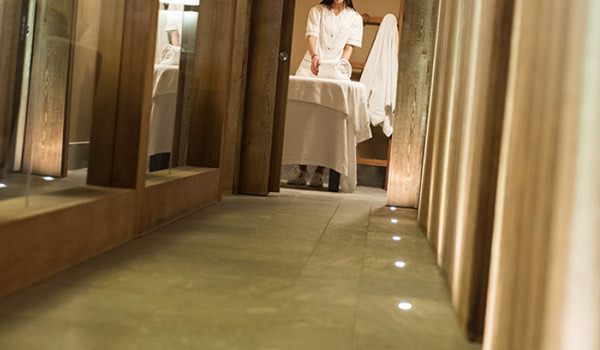 The Spa creates a refined oriental environment in which guests can enjoy one of the many relaxing and regenerating massages carried out by specialists, or one of the many aesthetic treatments which are adapted to all skin types. 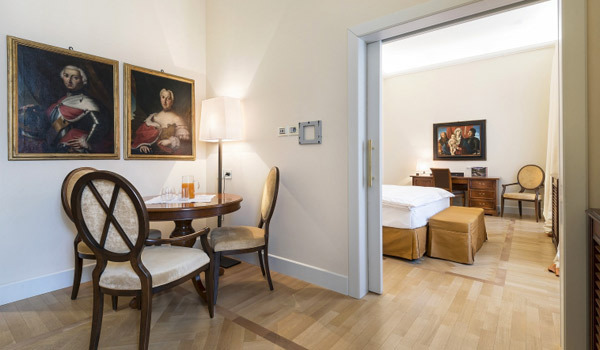 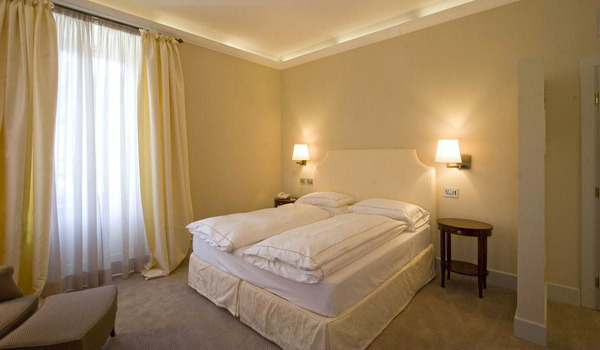 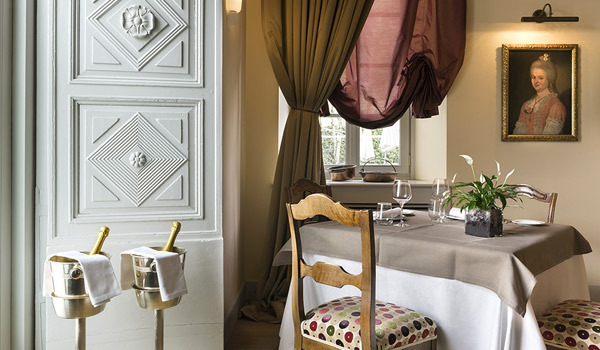 The rooms at the Grand Hotel della Posta are available as: Single, Standard, Superior, Deluxe and Suite. 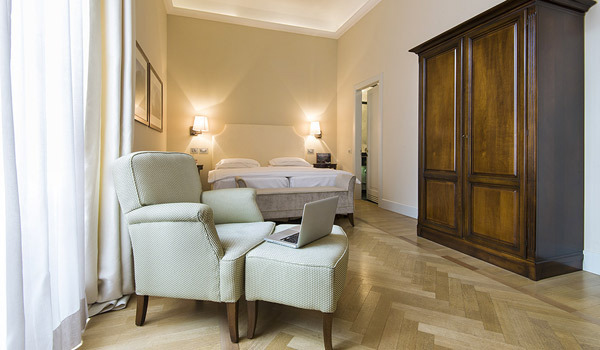 The services include satellite TV with Sky channels, minibar, safe and Wi-Fi access. 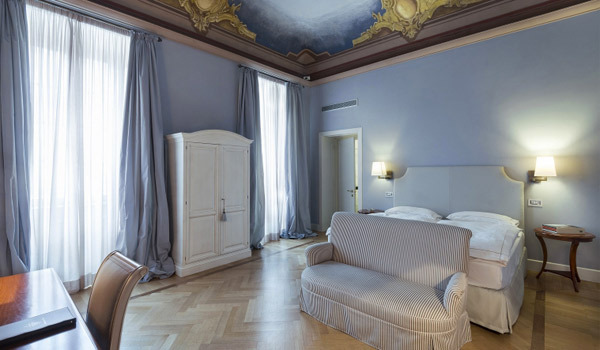 The Suites have a balcony overlooking Piazza Garibaldi, a separate living room and two bathrooms one with a bathtub. 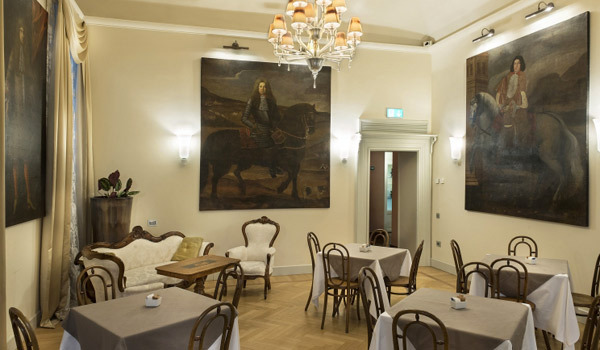 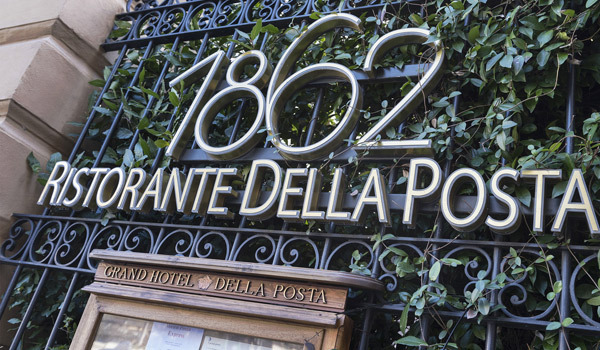 The “1862 Ristorante della Posta” is open both at lunch and dinner and welcomes guests in a charming environment which is rich in history. 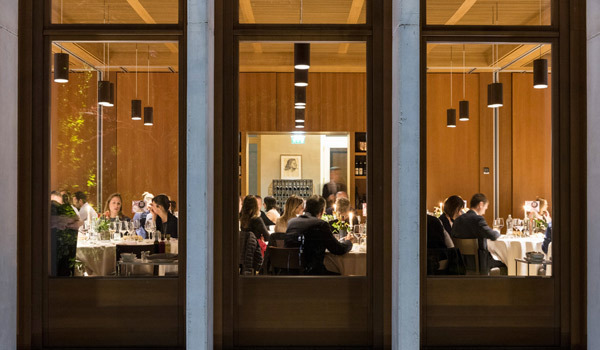 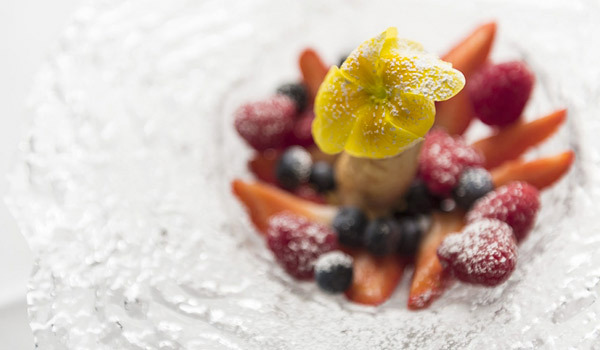 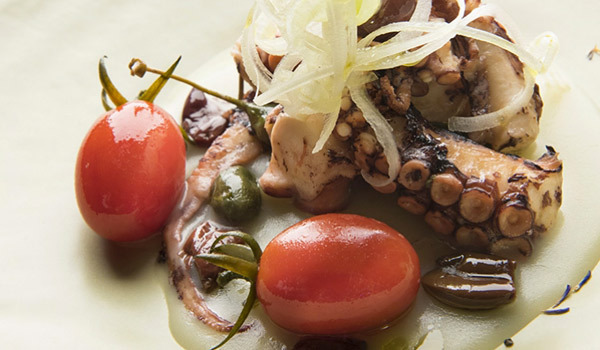 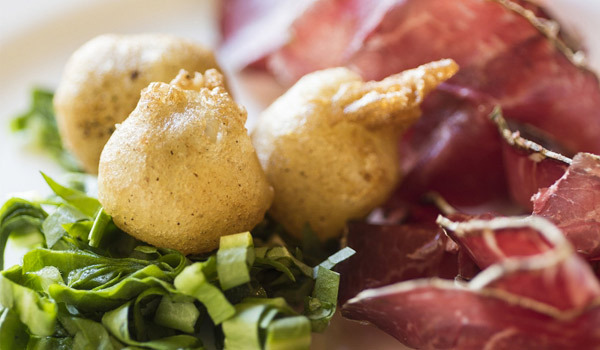 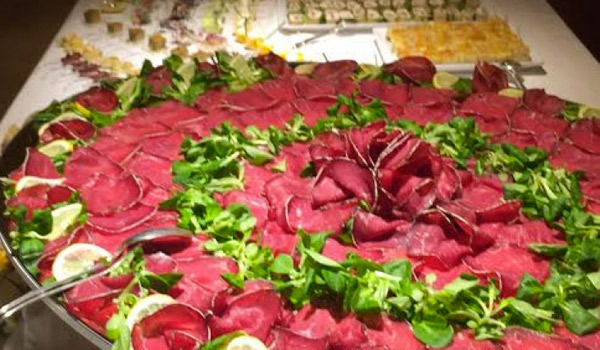 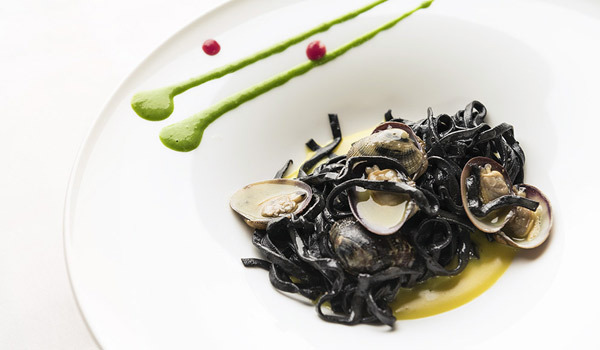 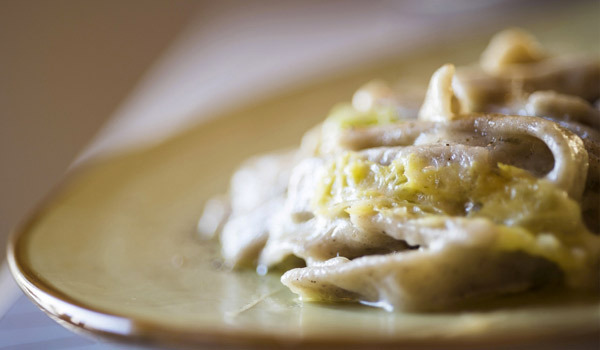 The best in local Valtellina and Mediterranean cuisine can be enjoyed under the historic vaulted roof or, during the nice weather, in the garden or on the terrace. 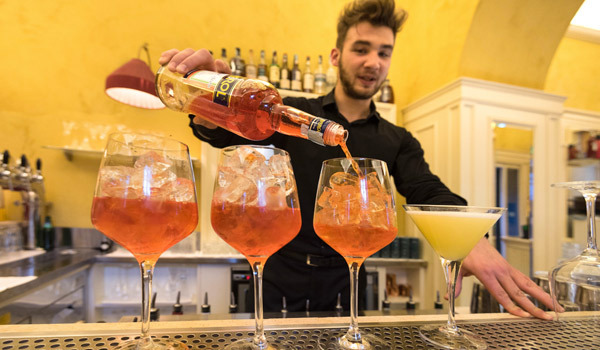 The Restaurant hosts a wide range of wines to accompany your meal and you can enjoy a quick snack at Cafè Felix with an outdoor area on Piazza Garibaldi. 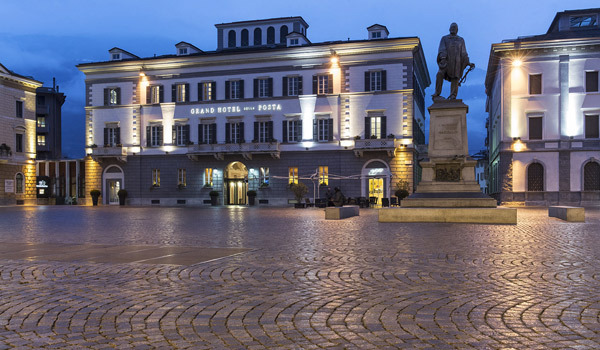 Less than 30 kilometres divide Sondrio and Tirano, with its beautiful historic centre, the Madonna di Tirano renaissance sanctuary and the Rhaetian Railway station where you can board one of the characteristic trains, Bernina railway, which takes you to the spa town of Saint Moritz. 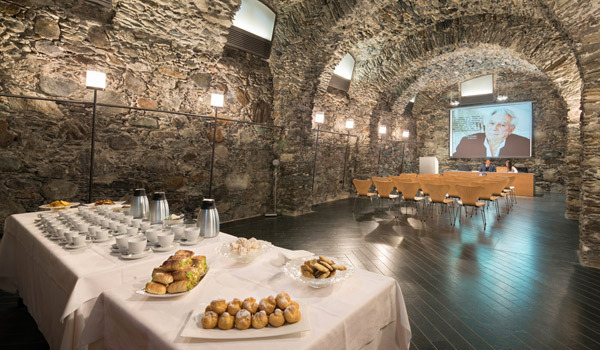 In the area around Sondrio don’t miss out on a visit to: Santuario della Madonna sactuary in Sassella, Montagna in Valtellina, The Church of S. Giorgio and the ruins of Grumello Castle. 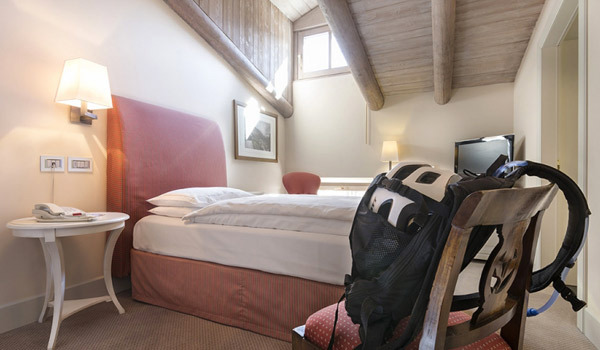 Trekking and outdoor lovers can make the most of the many tracks available which start from Sondrio and cross the Sentiero Valtellina Trail and the suggestive Via dei Terrazzamenti. 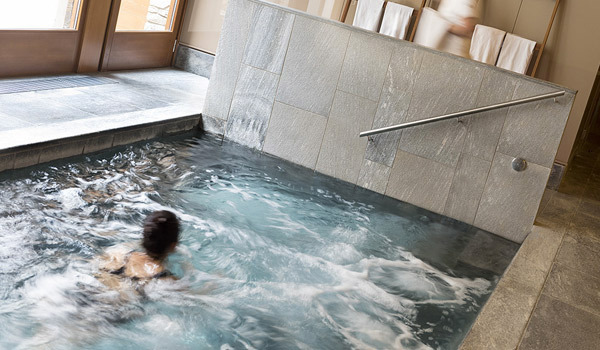 Another worthwhile place to visit, just a few more kilometres away, is Bormio, noteworthy for its Ski facilities, the beautiful surroundings and the hot springs which have been tapped to provide water for three thermal baths.